This Chamber is organized for the purpose of advancing the economic, industrial, professional, cultural and civic welfare of Grand Island; to encourage the growth of existing industries and business, while giving all proper asssistance to any new firms or individuals seeking to locate in Grand Island; to support all these activities believed to be beneficial to the community and area, and in general to promote the welfare of all area citizens following always those policies intended to accomplish the greatest good for the greatest number of people. Brochures, Maps, Videos and Post Cards (viewed on opening page of website) available through the Chamber Office. 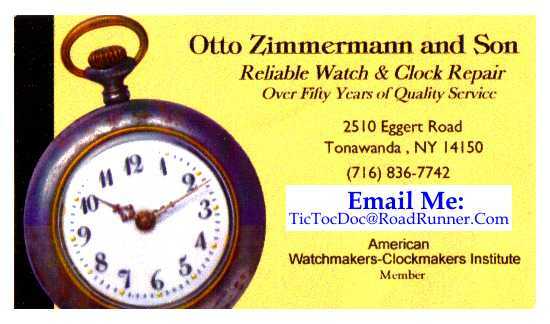 Feel free to email us and we will forward your request to the Chamber Office or call (716)773-3651. 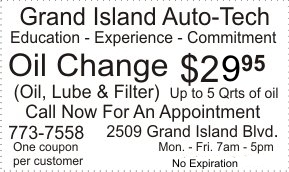 Thank you for your interest in Grand Island. The Grand Island Chamber of Commerce is pleased to announce the award recipients for our 53rd Annual Citizen of the Year Award Celebration. They will be recognized at a dinner to be held at the Doubletree by Hilton, Niagara Falls, on May 2, 2019. Business: Soma Cura Wellness Center; Community Service: Gale Sander; Educator: Jeffrey Green; Science and Medicine: Dr. Stacey Schroeder - Watt; Lifetime Achievement: Justice Sybil Kennedy. This year’s Master of Ceremonies will be Dave Greber, anchor at WIVB News Channel 4. For tickets to the event please contact Kim McMahon at (716)773-3651 or email at info@gichamber.org. 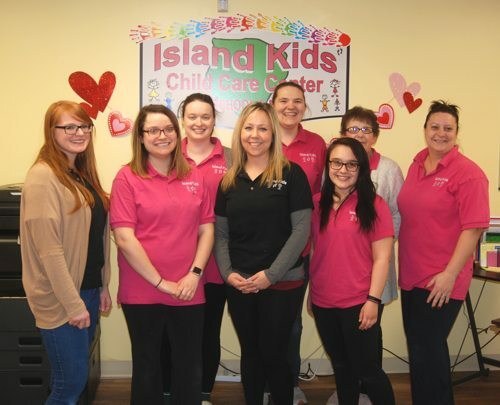 The Grand Island Chamber of Commerce held a ribbon cutting for the second, Island Kids Child Care Center, located at 2085 Baseline Road, on Tuesday, February 5th. 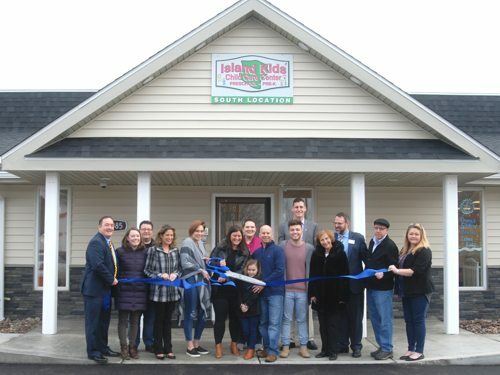 Owners Ann and Jason McClelland provide care for children 6 weeks to 12 years-old; before and after school and summer programs. This facility is 5700 square feet and has a outdoor play area and sports field. 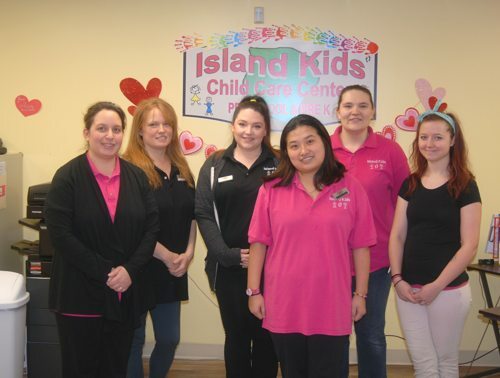 Their website is www.islandkidsccc.com. Family members, Chamber members and elected officials were on hand to congratulate the McClellands. 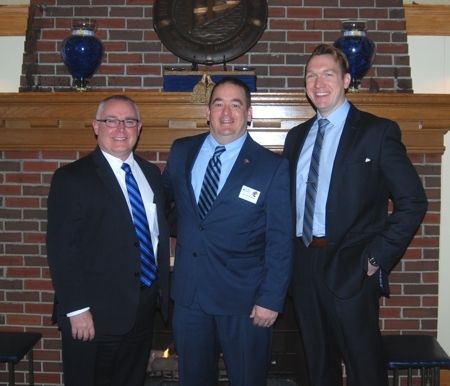 From left: Superintendent Brian Grahm, Ed.D., President Eric Fiebelkorn and Supervisor Nathan McMurray. 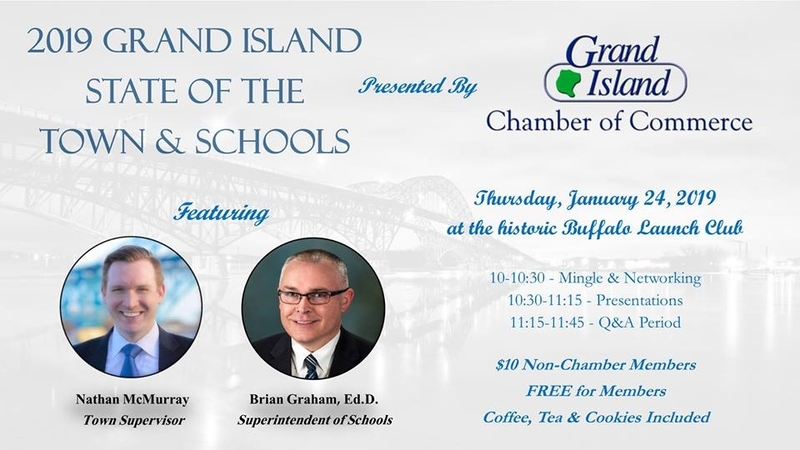 The Grand Island Chamber of Commerce hosted "Grand Island State of the Town & Schools" event on Thursday, January 24th at the Buffalo Launch Club. Chamber President Eric Fiebelkorn welcomed the attendees and gave a brief presentation on the role of the Chamber of Commerce and some of their current and future intiatives. They recently printed over 12,000 street map/resource guide that will be placed in hotels, the welcome center and Island business'. There are plans for Chamber members to man the welcome center on Saturdays, to direct visitors to Island business. The re-branding of the Chamber will take place this year and updates to the welcome signs located as you enter the Island. Supervisor Nathan McMurray spoke of the excellent credit rating the town maintains, AA1, and the large increase in grant money the town has been awarded during his time in office. The one million dollar sidewalk project will begin in the spring and run along Grand Island Blvd., between Webb Road and Fantasy Island. He is most proud of the shut down of Tonawanda Coke and cashless tolling. Superintendent of Schools Brian Graham, Ed.D., in his third year, spoke of inspiring students and staff to become a championship school district. 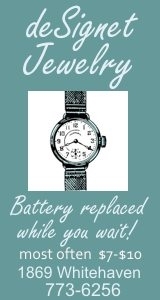 That is to work to their highest potential, making continuous improvements, every day. He thanked the community for the recent approval of the Capital Project, which will increase security at the high school and middle school, add water to the music wing and improve sports fields behind the Ransom Road schools. See Narrated Project Overview. A five year plan was talked about and the improvement of the GISBA (Grand Island School & Business Alliance) partnership. A question and answer period was held at the end of the event. 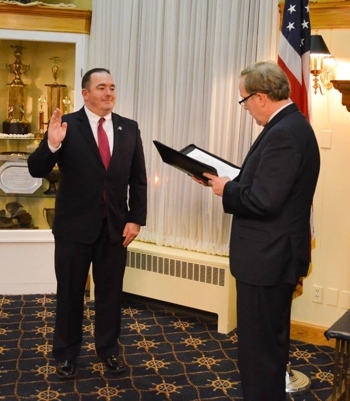 President Eric Fiebelkorn being sworn in by Town Justice Mark Frentzel. Chamber of Commerce Board of Directors. 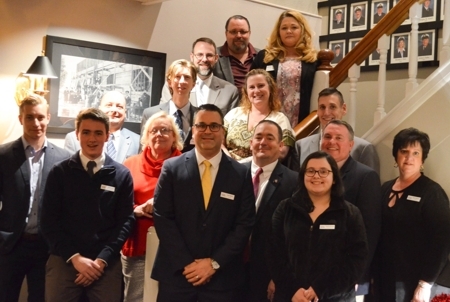 On Thursday, January 17, 2019, the Chamber of Commerce installed officers and newly elected board members, during the first meeting of 2019. Thank you to Town Justice Mark Frentzel for presiding over the swearing in festivities and to the Buffalo Launch Club for being excellent hosts. But first and foremost, thank you to the special group of men and women that have stepped up to serve our community at the Chamber. We have an excellent team that's going to do some great things together this year! Youth Ambassadors: Madison Davidson & William Soos. Administrative Director: Kimberly McMahon.